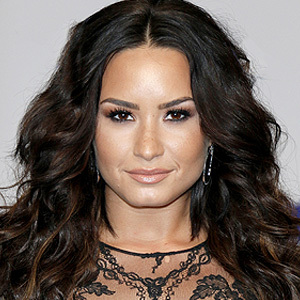 Singer and actor Demi Lovato has a new claim to fame: formidable martial artist. When she is not in the recording studio, on stage or in front of the camera, Lovato can often be found keeping in shape at Jay Glazer's Hollywood (California) gym. Glazer, who is best known as a sports journalist, also runs conditioning programs for professional athletes and celebrities based on mixed martial arts. On March 6, Glazer got more than he bargained for when 5'3" Lovato stepped into the ring and knocked out his front tooth. Glazer reportedly used super glue to put his tooth back together. Not a good idea! While it may not be convenient to drop everything and get to the dental office, it takes an expert to safely treat a damaged tooth. If you glue a broken tooth, you risk having to undergo major work to correct your temporary fix—it's no easy task to "unglue" a tooth, and the chemicals in the glue may damage living tooth tissue as well as the surrounding gum and bone. If you chip a tooth, save the missing piece if possible. We may be able to reattach it. If your tooth is cracked, rinse your mouth with warm water, but don't wiggle the tooth around or bite down on it. If it's bleeding, hold clean gauze to the area and call our office. If your tooth is knocked loose or is pushed deeper into the socket, don't force the tooth back into position on your own. Immediate attention is very important. If your tooth is knocked out, there's a chance it can be reattached. Pick up the tooth while being careful not to touch the root. Then rinse it off and have either someone place into its socket, or place it against the inside of your cheek or in a glass of milk. Please call the office immediately or go to a hospital. What's the best thing to do in an emergency? Call us right away, and DON'T super glue your tooth! You can prevent worse problems by letting a professional handle any dental issues. And if you've been living with a chipped, broken or missing tooth, call us to schedule an appointment for a consultation—there are several perfectly safe ways to restore your smile. Meanwhile, if you practice martial arts to keep in shape, think twice before getting into the ring with Demi Lovato! Teenagers and adults alike can improve their smile appearance with dental solutions like teeth whitening or orthodontics. But there are a few cosmetic solutions like porcelain veneers that are better suited for more mature teeth. Veneers are composed of thin layers of dental porcelain that are bonded to the outside of teeth. They're kind of a tooth "mask" that hides blemishes like chips, discoloration or mild bite problems. They're often less involved and expensive than other types of dental restoration. Even so, we usually need to remove some of the natural tooth's enamel before applying them. Veneers placed directly on unprepared teeth can appear bulky, so we remove some of the enamel to create a more natural look. And although usually only a slight amount, the alteration is permanent and will require the tooth to have some form of restoration from then on. This usually doesn't pose a major issue for adults, but it could for a teenager's younger teeth. The nerve-filled dentin in a teenager's still developing tooth is thinner and closer to the pulp (nerve tissue) than in more mature teeth. There's at least one situation, though, where veneers might be applied safely to a teenager's teeth without this concern. If the teen has abnormally small teeth and are receiving veneers to improve their appearance, they might not need alteration. Because the teeth are already thinner than normal, the "no-prep" veneers may not look bulky when directly bonded to them without preparation. With most cases, though, it might be best to pursue other options that at the very least can make a cosmetic difference until their teeth are mature enough for veneers. For example, we might be able to repair chipped areas with composite resin material that we form and bond to the tooth to achieve a life-like appearance. We can discuss these and other options for safely improving your teenager's smile. The important thing is to achieve a more confident appearance without endangering their future health.